Minecraft has been around for a while, but it's still an absolutely massive game, and it doesn't show signs of slowing down. One of the more popular aspects of the game is skins, which change the appearance of the player's avatar. Minecraft recently changed the way it handles player skins. Instead of modifying game files, you now need to upload skins directly to your Mojang account; they'll be automatically applied to your avatar whenever you sign in to the game. Everything you need is handled through your Mojang account. This is the same account you use to sign in to the Minecraft client. The following instructions also apply to Minecraft on Mac and Linux. Go to the Mojang sign in page, and log in to your account. 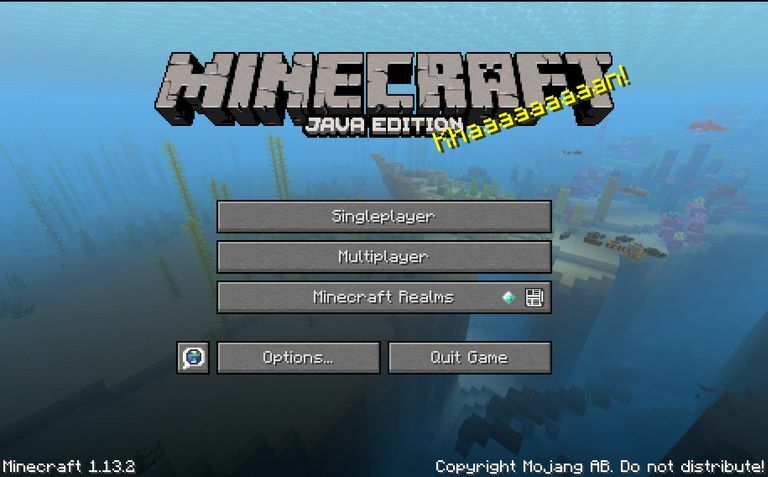 If you haven't played Minecraft in a long time, you'll need to select Migrate to a Mojang account. You should automatically be taken to your Minecraft profile. The page will have information about your account, including your email and when you first created the account. If you didn't immediately arrive on the page, select your email address in the upper right corner of the page, then select Profile from the drop down menu to get to your account profile. On the left side of your profile, select Skin. You can choose between the classic blocky model and a newer slim model for your avatar. Select the one you'd like to use. Before you go any further, you should pick a skin you want to use. There are thousands of Minecraft skins online to choose from. If you've never looked for one before, check out the Minecraft Skindex or NameMC. Both list popular skins in addition to letting you search through their extensive databases of user uploaded skins for one you like. Once you've found one, download it. With your chosen Minecraft skin in hand, return to your profile, and scroll down to the upload box to load your new Minecraft skin onto your profile. Choose Select a file. A new window will open up to let you browse to the location of the skin that you just downloaded. Select your file to open it. The screen will change to display the skin you just uploaded. If everything looks good, select Upload. The page will refresh, and your new current skin will appear at the bottom of the skins page. The skin will be applied whenever you sign in to the game. Whenever you want to update your Minecraft skin, follow this same procedure. Mojang doesn't save your previous skins, so it's a good idea to store old favorites in a folder on your computer. For mobile Minecraft players, the process of applying custom skins is a bit different. You can now apply your own skins directly in the game. The same skins that work for the desktop Java edition will work on the latest mobile app. Begin by locating a skin you would like to use. Try the Minecraft Skindex or NameMC, as both are very mobile friendly. When you have a skin you'd like to use, download it directly on your mobile device. With your skin in hand, launch the Minecraft app on your device. You'll arrive on the home screen, with the model of your character to the right of the main menu. Tap the coat hanger below the character to open the skin menu. The Minecraft skin menu is divided into a series of boxes. Most of the screen area is dedicated to trying to sell you new skins. In the upper left, you'll see the default skins. Tap the gray figure in that box. The screen will shift to display the gray figure as your current character. Select Choose New Skin directly above it. Your device's file manager will open, and you'll be able to browse to the location where you downloaded your new skin. Find and select the skin, then choose whichever model you like. You'll return to the skin menu. Now, you're selected character model will be the skin you just uploaded. Tap Confirm to apply the change permanently. Minecraft will take you back to the main menu. Your new character will be standing next to the menu. Follow the same process every time you'd like to change your skin. You can change it as often as you like. From the main menu, select Help & Options > Change Skin. Navigate through the various Minecraft skin packs to find one you want. Minecraft also has several default skins that come with the game for free. If your chosen Minecraft skin has a lock symbol, that means you have to purchase it. Select the skin and head to the digital store when prompted to do so. Buy your new skin, then go back to Help & Options > Change Skin. Select the new skin and it should be applied immediately.